DRACUT – Captain Arthur H. Ryan (ret.) 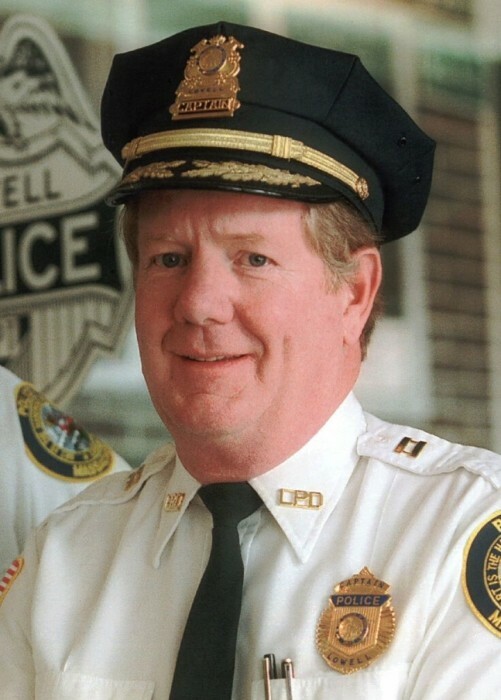 Lowell Police Dept., age 79, a resident of Dracut, passed away on April 13, 2019 after a brief illness with his family by his side. He was the beloved husband of Gloria (Lamontagne) Ryan for more than 60 wonderful years. Born in Boston on June 17, 1939, he was the son of the late Hudson and Louise (Conley) Ryan. He was a graduate of Dracut High School and earned a bachelor’s degree from New Hampshire College. Arthur began his law enforcement career with the Metropolitan Police Dept. in Washington, D.C. He later worked with the Tyngsboro Police Department and the Middlesex Sheriff’s Office before embarking on a 27-year career at the Lowell Police Department. He served in many capacities at LPD, rising to the rank of Captain before his retirement in 2000. Arthur was a proud graduate of the FBI National Academy. In between his early law enforcement jobs, Arthur was employed as a member of Local 7 of the International Iron Worker’s Union. Arthur was a sportsman and adventurer. He was a private pilot, a scuba diver and an avid boatsman. He served for many years in the U.S. Coast Guard Reserve, patrolling Boston Harbor. In his youth, he was a Silver Mittens and Golden Glove champion boxer. Surviving him in addition to his loving wife, Gloria, are two sons and two daughters-in-law, Arthur H. and Judith Ryan of Dracut and Daniel B. and Patricia Guajardo Ryan of San Antonio, Texas; five grandchildren, Erin LaFlamme and her husband Ryan of Lowell, Alexander Ryan of Houston, Texas, Emmanuel Guajardo of Laredo, Texas, James Ryan of Dracut and Jonathan Ryan of Dracut, a brother and sister-in-law, Walter “Butch” and Sharon Ryan of Sarasota, Florida; a sister, Ann Riley of Manchester, New Hampshire; and many nieces, nephews and dear friends. RYAN – Captain Arthur H. Ryan (ret.) LPD. Relatives and friends will be received at the TYNGSBOROUGH FUNERAL HOME, 4 Cassaway Dr., Tyngsborough on Monday from 4 to 7 p.m. Funeral Tuesday morning with a Funeral Mass to be celebrated at 11:00 AM in the Parish of Saint Rita, 158 Mammoth Road, Lowell. Committal services will follow in St. Joseph Cemetery, Chelmsford. For online condolences or directions, please visit www.tyngsboroughfuneralhome.com.